The XXXIV edition of the Rossini Opera Festival closes with some record figures: the box office has registered about 17.000 audience members (the highest figure in the history of the Festival), with sales totalling about 1.123.000 euros (+ 11% with respect to 2012, the second highest amount ever taken by the Rof). The percentage of foreign visitors reached 68%, confirming the Festival’s possibilities for attracting audiences from every continent: France, Germany, England and Japan maintain their lead, whilst there continues to be an increasing number of Russian visitors: + 10% with respect to 2012. Good numbers also come from Austria, Switzerland, Belgium, Spain and the USA. Besides Italy, 37 nations are represented: apart from those already mentioned, spectators have come to Pesaro from Argentina, Australia, Canada, South Korea, Croatia, Denmark, Finland, Greece, Hong Kong, India, Ireland, Israel, Lebanon, Luxemburg, Norway, New Zealand, Holland, Poland, Portugal, The Czech Republic, Romania, Scotland, Slovakia, South Africa, Sweden, Thailand, the Ukraine. A large number of journalists also come from abroad: representatives have been sent from publications (apart from Italy) in 27 countries all over the world: Saudi Arabia, Argentina, Austria, Belgium, the Vatican, South Korea, Denmark, France, Germany, Japan, Greece, England, Israel, Luxemburg, Mexico, Holland, the Czech Republic, Russia, Slovakia, Spain, the USA, South Africa, Sweden, Switzerland, Taiwan, the Ukraine and Hungary. 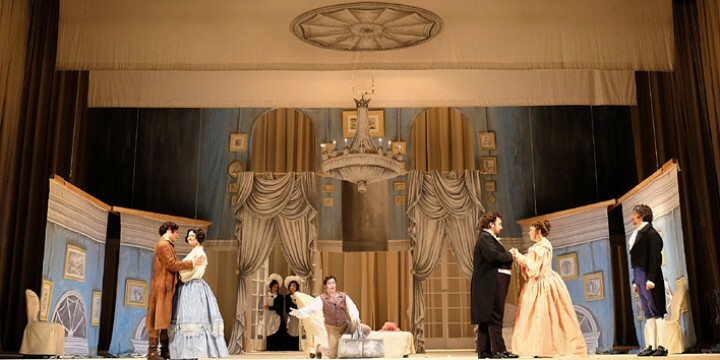 The French national cultural TV channel France 5 sent a troupe to the city for three days to realize an hour-long documentary on Gioachino Rossini, which will be televised later in the year at prime viewing time as part of a cycle dedicated to the great composers. They filmed numerous interviews and scenes from the RofÂ productions as well as sites in the city particularly connected with the life of Rossini. Besides this, for three days a troupe from the RAI 3 programme Prima della prima filmed interviews and scenes from rehearsals in Pesaro to realize an episode entirely dedicated to Guillaume Tell. For Brigitte, one of the leading and most popular ladies’ magazines in Germany, the writer Elke Heidenreich has composed a wide coverage of the Festival and of the town, which will be published next spring. 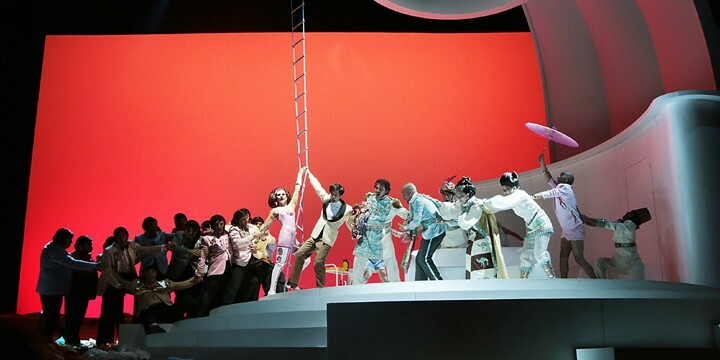 This year, too, the RAI Radio 3 has broadcast the Festival operas live to 12 countries on Euroradio in their series Radio Tre Suite: Australia, Austria, Canada, Denmark, Ireland, Holland, Poland, Portugal, Romania, Spain, Sweden and Switzerland. The three operas were also broadcast live through all the world on the website Rai Radio3. Beside the great names of international music criticism, Pesaro was also visited by representatives of some of the leading opera houses and musical institutions: the Metropolitan Opera, New York, the Royal Opera House, London, the Bayerischer Staatsoper, Munich, the Opéra, Monte Carlo, Scottish Opera, Edinburgh, the Sibelius Foundation, Helsinki, the Staatstheater, Wiesbaden, the Centro Nacional de Difusiòn Musical, Madrid. 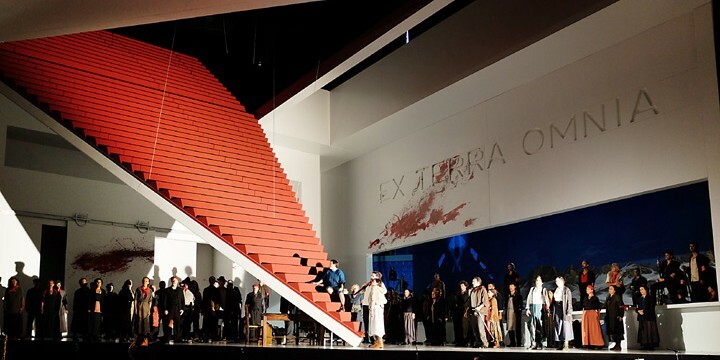 The Rossini Opera Festival for 2014 will offer two new productions: Aureliano in Palmira, for the first time ever in the critical edition of the score, the production entrusted to the skill of Mario Martone; Armida, which Luca Ronconi will bring to new life after having already directed it at Pesaro in 1993. This entry was posted in Article and tagged Gioachino Rossini, Pesaro, RAI Radio 3, Rossini Opera Festival. Bookmark the permalink.